Our Phoenix Weight Loss Clinic, will help you lose weight and gain back your self-confidence! The Weight Solutions clinics in Phoenix and the East Valley offers treatment for various metabolic diseases including diabetes, hypertension, thyroid disease and PCO related issues., catering to patients from all walks of life. Led by a caring doctor with more than 30 years of experience in weight-loss management. Doctor Paul Benchwick set up the Weight Solutions clinic in 2003. His goal was quite simple: to provide affordable and professional weight loss programs for the community. 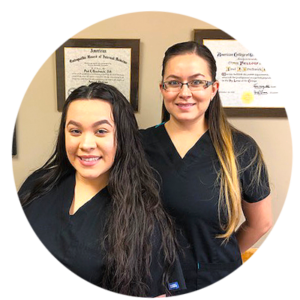 Weight Loss Solutions has a friendly, bilingual staff to assist in achieving your goals and scheduling appointments. Our staff knows and understands your needs. Whats more, they’re proud and overjoyed to have helped so many people turn over a new leaf of health and fitness. Call now and let our staff help you today in your new journey to health and fitness! “I have been visiting Dr. Benchwick for quite some time with great results. I’ve also referred many clients and friends. ~ Angela B. It is designed to provide you with the tools to manage your own weight. We also provide nutritional support during the process. Once target weight is achieved we design a program for you to maintain your weight. Weight Solutions Clinic offers plans at a discounted rate depending on availability. Visit our coupons page for the latest discounted plans and take advantage of the opportunity now! All visits are performed by a doctor with subsequent recommendations for weight control. There are no long term rates or contracts to be signed. Lose Weight now and fast!